amarillo slim in a world full of fat people Archives - Combat! Amarillo Slim in a World Full of Fat People goes with Surely You’re Joking, Mr. Feynman! in a class of books that, as near as I can tell, don’t exist anymore. It is, first and foremost, the merchandising of a public figure. Published in 2003, presumably to cash in on the poker craze, the book is mostly about proposition betting. Along with his co-writer Greg Dinkin, Slim relates in roughly chronological order various anecdotes about his youth, his career in road gambling, his Vegas celebrity, and his unlikely dotage. It’s all done in Slim’s trademark down-home speech, and it’s easy to discern who wrote which parts: one voice sounds conspicuously exaggerated and fake, and the other is Dinkin. This ersatz country routine is part of Slim’s charm, though. He’s the man who gains your confidence by letting you see that he’s conning you, and the anecdotes in this book consistently hit that note in pleasant ways. They don’t form much of a narrative. 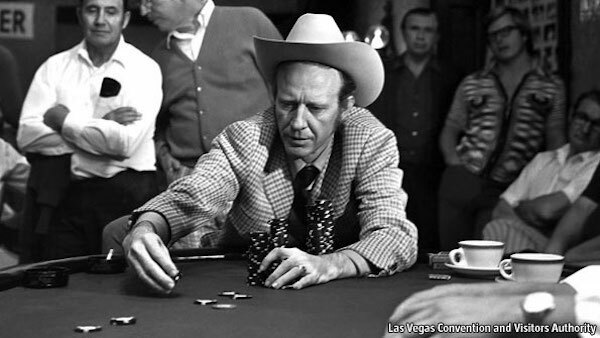 As the most successful gambler of his generation, Slim was by definition lucky. This gives the events in his book a deus ex machina quality. Hark to the tale of the luckiest man in the world! Will he survive the raging river? Yeah, things actually went his way. This certainty that the protagonist will make it is something readers are generally willing to ignore, particularly in memoirs, but chance and uncertainty are motifs of this book. Besides gambling, Slim has no vices: he doesn’t drink or cheat on his wife, and he makes it clear from the beginning that his family life will not be threatened by his “thirst for risk.” Except for a couple of scary stories about getting hijacked, most of this book is about Slim taking risks that pay off. His exploits take on a fated quality, and the modern reader finds fate boring. Nevertheless, I liked reading this book. It may be for narrow reasons, though. I used to play poker as a source of income, and like most hustlers of that time I took a quantitative approach. When the money I stood to win exceeded my chance of winning it—a concept known as pot odds—I played. When it didn’t, I folded. This approach and the elaborate list of probabilities that undergird it are exemplified by Doyle Brunson’s Super System. Widely revered among poker players, the book is about which bets are mathematically favorable and how to hit as many of them as possible on your way through a hand. Slim knew those percentages. He was Brunson’s partner for decades. Before 1961, when the Federal Wire Act made a felony of transmitting information related to betting over the phone, he made millions keeping sports book, so he did math. Slim’s book, though, focuses very little on the quantitative theory of gambling. Instead, it articulates an approach that I would call situational. 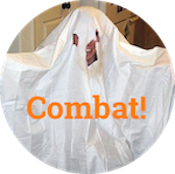 Some of the funniest anecdotes involve his tricks to get an edge in proposition bets. His situational approach to gambling does not go looking for those edges, though. He’s looking for opportunities to break people. In this book, at least, Slim gives the impression that he operated on the old admonition to play people and not cards. This approach runs counter to the prevailing wisdom of 21st-century poker and the strategy books that shaped it. Super System is definitely about playing cards. So is Sklansky and Malmuth. Even Caro’s Book of Poker Tells, which is almost entirely about reading people, comes down to a theory of mathematical advantage. Everyone in 2003 was looking for a better way to play cards, but Slim’s book suggests that the essence of gambling is in getting the other guy to put as much money on the line as possible. He’s careful to bet with an edge, but the part he takes joy in is raising the stakes. The difference between this approach and the prevailing attitude is most conspicuous in Slim’s descriptions of poker games, which are not the detailed, flop-and-turn narratives one endures in every card room in the world. Most of the time, when Slim talks about a hand, he doesn’t say what cards came up. Instead he talks about the texture of the game. His approach focuses on what he calls “decision pots”: hands that affect the players’ stacks or psychology so significantly they determine the course of the game. Slim’s poker strategy seems to be to put himself in positions to win these pots. Anyone who has played in public games since the poker boom of the last decade knows the primary effect of Super System: losing players now complain that their opponents have broken the rules of Super System. The list of viable pre-flop hands in that book has become so well known as to convince otherwise canny players that no one plays K-7 for a raise. Brunson’s strategy was to play aggressively and slightly tighter than the rest of the game. The widespread popularity of his approach has increased the profitability of playing loose and reactive. Not that you should play loose-passive in general. It’s just that if you only play tight-aggressive, you will be readable, and you will miss out on opportunities to skin tight-aggressive opponents. The best player I ever knew was beatable by one method: play trash hands agaionst him until you hit a flop, then call him to the river and watch him come unglued at your idiotic play. From that point on, play tight and let him raise your obviously strong hands. This is the kind of strategizing Slim advocates. In a no-limit game, the expected value of a single hand—or even the aggregate of dozens of hands—may not be worth as much as the chain of events that puts an opponent on tilt. Once people get pissed or start feeling unlucky, they blow off chips fast. These are the chips you don’t need skill play to catch. For all its merits, Super System does not sufficiently account for this aspect of the game, and neither do most of the modern poker strategy books I have read. The value of this insight makes Slim’s book worth reading to the contemporary player. I’m not sure how much a general audience would find in it, though. It’s definitely written for the reader who doesn’t play poker, and it’s fun for the first 50 pages, but it’s hard to sustain a book of anecdotes. Slim is an extremely likable figure, mixing humility and psychotic confidence in just the right proportions, but ultimately the book feels like a curiosity. If you’ve read the three poker books mentioned in this post, though, I recommend Slim’s viewpoint as a necessary corrective. I’m reading 50 books in 2018. Amarillo Slim in a World Full of Fat People is number ten. Next, I’m reading The Serial by Cyra McFadden.